The two homes you see pictured here feature classic but uncommon architectural styles. 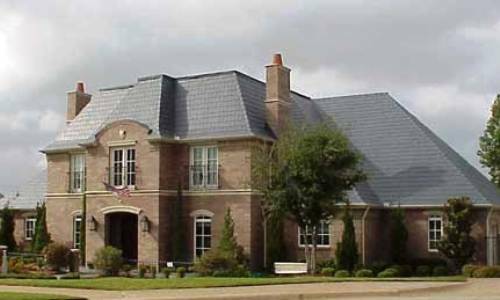 What’s remarkable about both is how beautifully the metal shingle roofing systems chosen to finish them integrate with and compliment their unique looks. 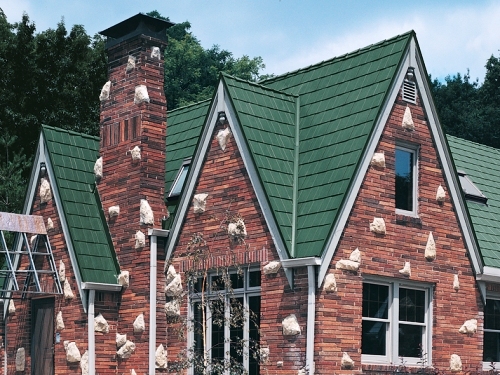 Metal Shingle Roofing compliments the architecture of these homes.